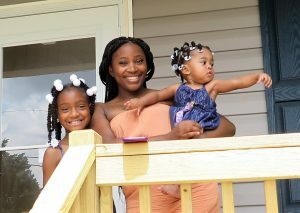 Last week, we held the dedication ceremony for Kwanishia and her family as she closed on her new Habitat home, and a celebration followed with her close family, friends and many volunteers that helped with construction on this home. 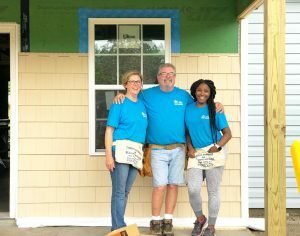 This house build was our 2018 Ecumenical Build sponsored through time, volunteers and monetarily by six area churches in the Cape Fear region: First Baptist Church, First Presbyterian Church, Holy Cross Episcopal Church, Little Chapel on the Boardwalk Presbyterian Church, Masonboro Baptist Church and St. Therese Catholic Church. 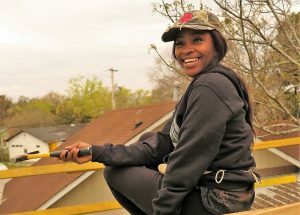 Since groundbreaking day on a cool February morning, members of each church have come together in support of Kwanishia and her dream of homeownership. 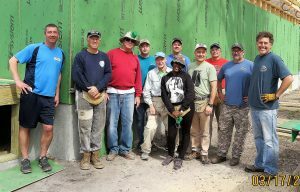 They have been on the construction site on a weekly basis and helped cover most of our needed volunteer shifts to build this home. 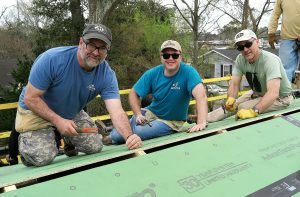 Cape Fear Habitat is grateful to each congregation and church leaders for their support all around for this build. We hear more often than not of division, differences and disagreements in our society. 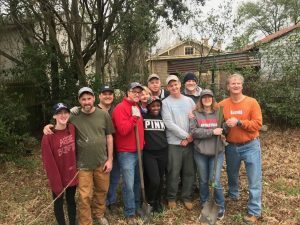 A house build such as this one is a great reflection of area community leaders coming together from different denominations to give a hand up to another community member and help her dream of homeownership come true. Churches looks different. 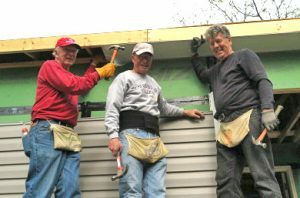 The people, the buildings, the makeup of each one is unique, but this Habitat home brought them together under one roof – a Habitat roof – seeking to put God’s love into action and carry out the mission of building homes, hope and community. 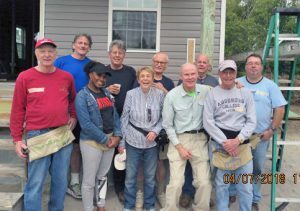 We appreciate each of you and thank you for being a part of this year’s Ecumenical Build.